To receive an Ontario Secondary School Diploma, students must successfully complete 30 secondary school credits. Of these 30 credits, 18 are compulsory and 12 are elective. 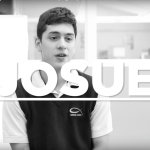 Students must also complete a minimum of 40 community service hours and pass the Ontario Secondary School Literacy Test (OSSLT). Students may earn the Great Lakes Christian High School Diploma (GLCHSD). In addition to requirements for the OSSD, students must be successful in Bible classes and exceed the minimum number of community service hours. For students returning to GLCHS, grades earned in our Bible program are included when determining eligibility for scholarships and awards. 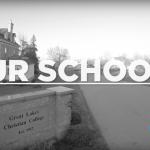 Many international students choose Great Lakes Christian High School as a place to develop and refine their English skills. GLCHS offers English as a Second Language classes to strengthen students’ abilities in English and to support students as they adjust to new classroom situations. Students in ESL classes receive academic credits towards their diploma.